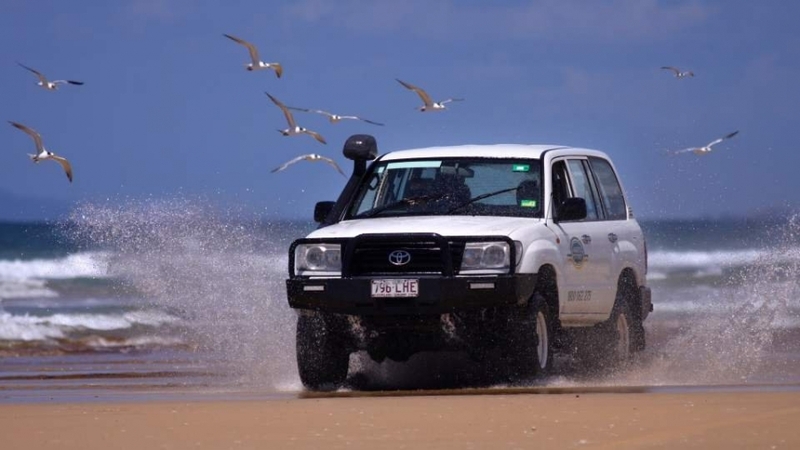 Enjoy a Great Sandy Adventure with our Eurong 4WD Hire Package from $719* per person, twin share. Click the link above and you'll be transported on the adventure of a lifetime. 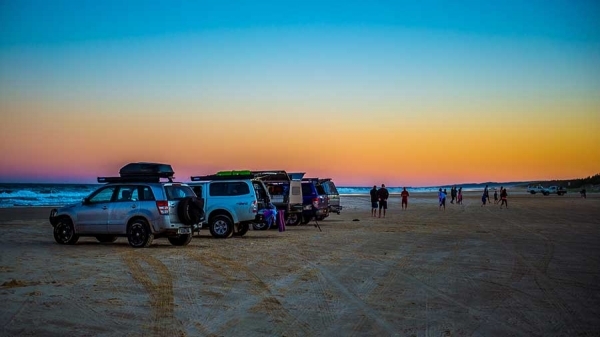 The open road, beach highway and time-out on the surf side of Fraser Island. This package is itinerary-based so choose one of the following itinerary when booking. Day One: Pick Up Car from 4WD Hire Company in Hervey Bay. Arrive at the office at least 2 hours prior to ferry departure (Fraser Venture Ferry) at 10.15 am. 4WD at Leisure. Check in at Eurong Beach Resort. Day Two: 4WD at Leisure. Overnight at Eurong Beach Resort. Day One: Pick Up Car from 4WD Hire Company in Hervey Bay. Arrive at the office at least 2 hours prior to ferry departure (Kingfisher Bay Ferry) at 12.30 pm. 4WD at Leisure. Check in at Eurong Beach Resort. 4WD Hire Services by Atlas 4WD Hire (Toyota Landcruiser automatic) incl island access permit, basic car insurance. You'll be given a thorough one-on-one session about operating the vehicle. Mainland Vehicle storage is available if needed. * Subject to availability, valid to 31 March 2019. Attendance to a compulsory 45 minute training session is required. Please arrive to the hire premises 2 hours prior to the ferry departure time. All driver MUST be at least 25 years of age and hold valid Australian or international license. An AUD $1000 bond deposit and AUD $3000 credit card imprint will be required on the day of arrival. Deposit and imprint is refunded upon the return of the vehicle (condition report criteria must be met). Bond reduction options are available. Unutilised component or part(s) thereof will not be refunded or credited. Any preferred ferry schedule must be pre-booked in advance.